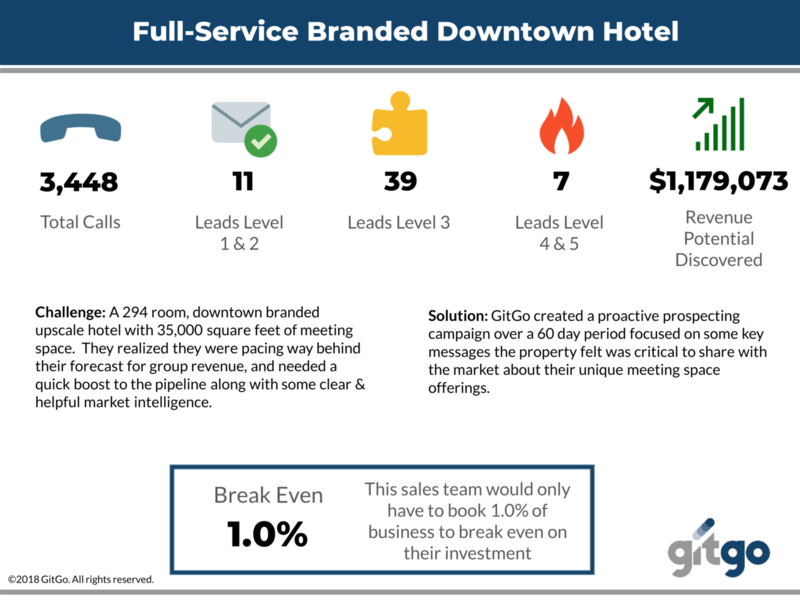 Profitable prospecting for the modern B2B sales environment. 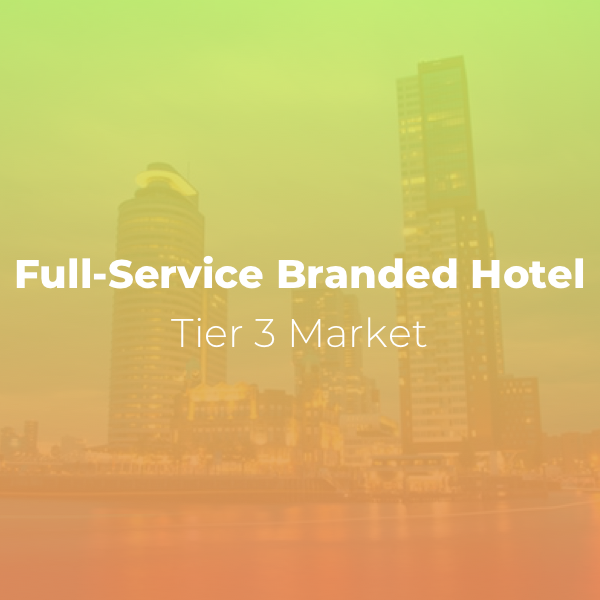 When a secondary market, three-star hotel recently saw they weren’t even on the radar screen of their target customers, they turned to GitGo to fill their pipeline. 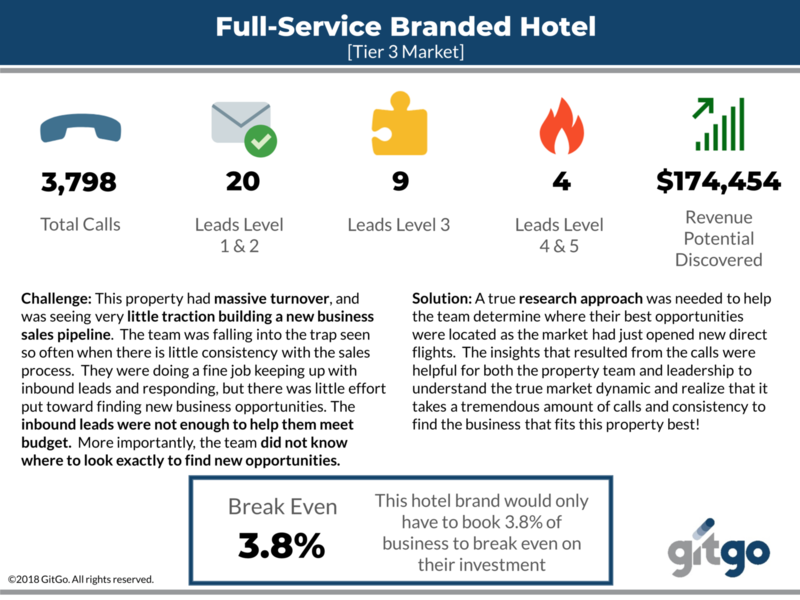 Using our proprietary hotel lead-generation process, combined with our uncanny knowledge of who to target for which type of property, we delivered more than 50 top qualified leads, which generated a 5X return on the hotel’s investment in less than 6 months. 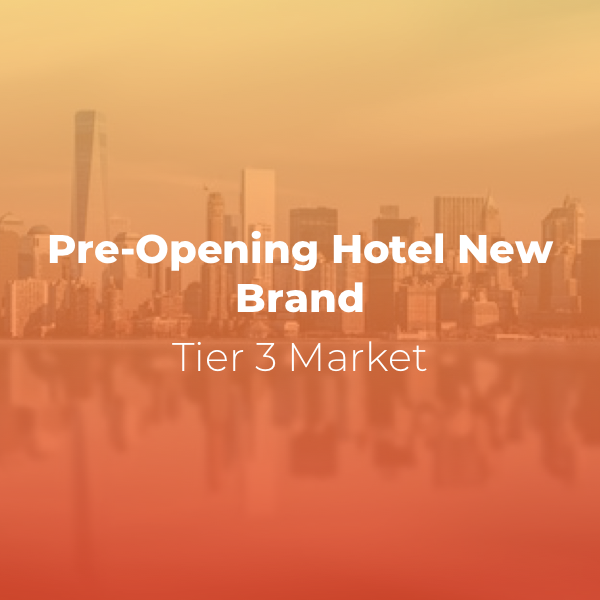 Plus, with the remaining leads in their pipeline and their current trending, the property has an opportunity to ultimately see a total return to exceeding 20X their initial investment. No one understands new business development better than GitGo. 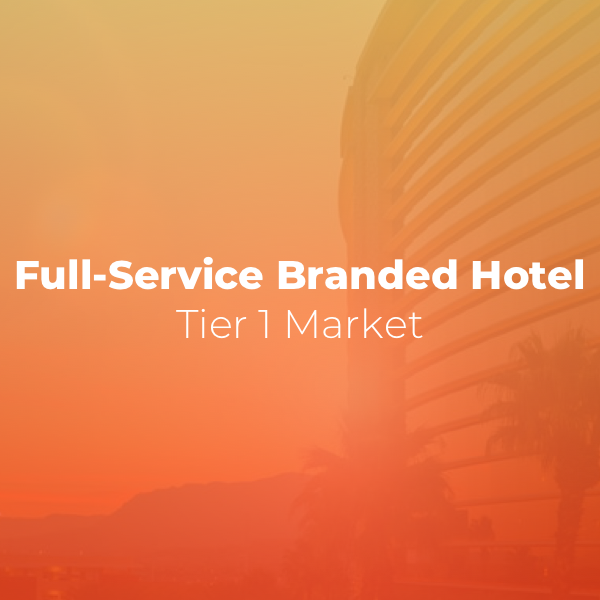 For the last 12 years, we’ve conducted over 500,000 conversations per year with hospitality buyers – across all market segments – for hotels in all 50 states and 8 countries – and on behalf of every type of hotel. 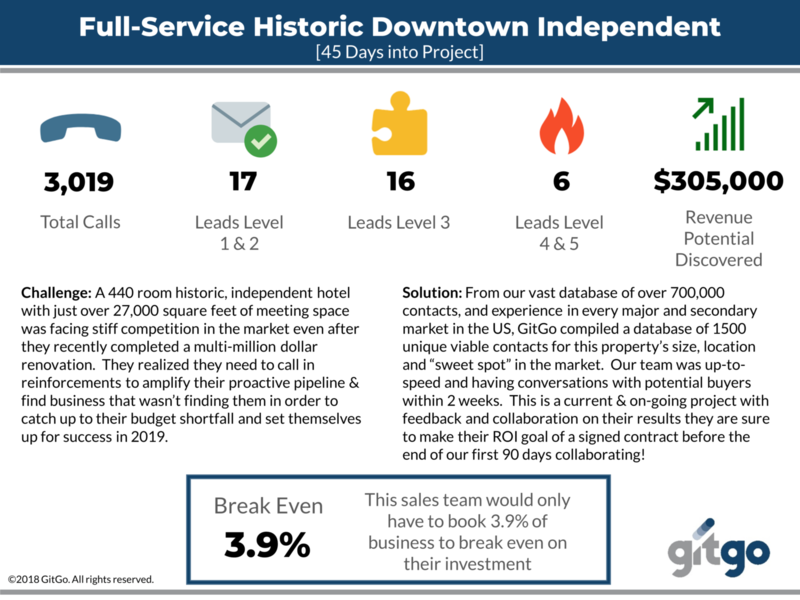 Our proprietary lead-scoring system provides clarity to the buyer’s decision-making process and creates a fool-proof system for property sales teams to close more business, gain larger returns and achieve a faster path to break even on the investment of lead generation. 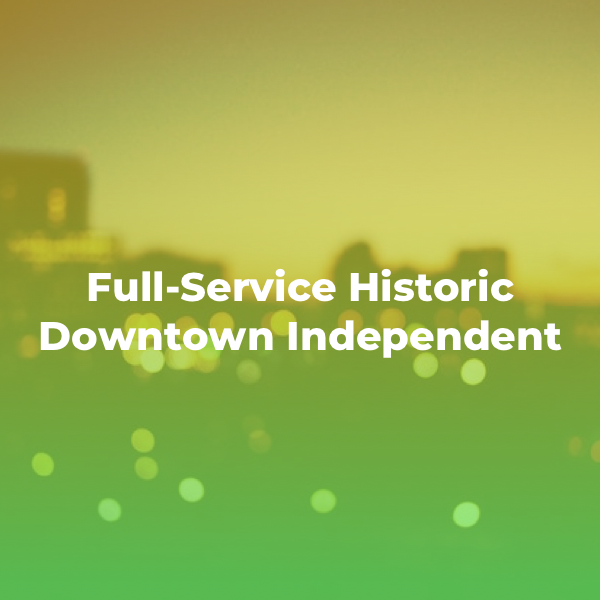 Our process is seamless, collaborative, and frictionless. 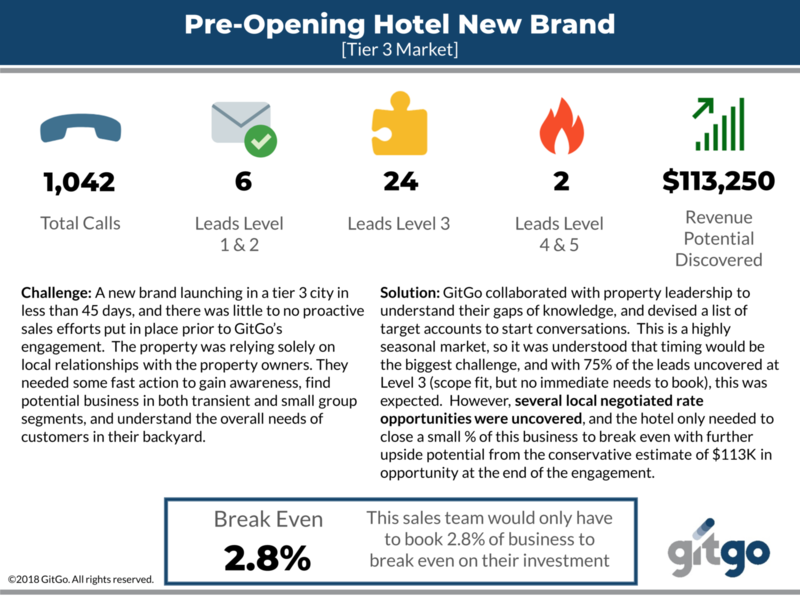 It provides the fastest, most predictable path to the most viable new hospitality sales leads for your existing sales team to follow-up, nurture and close. Better still, we are an extension of your sales team. 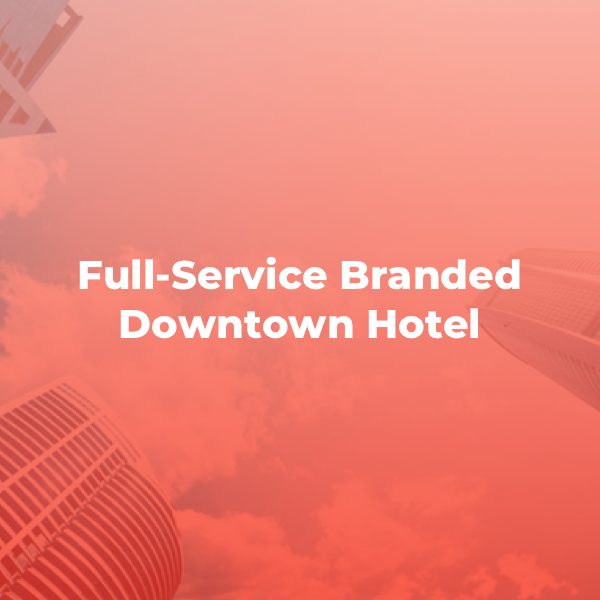 Our proven client-partnership approach ensures there is no duplication of costs or workload. 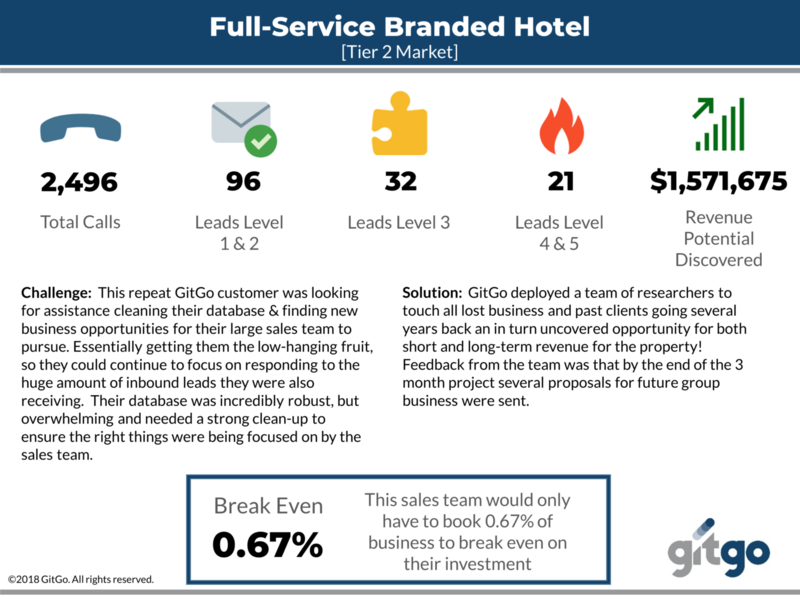 GitGo’s clear process instills confidence in your sales team – and our “lead by example” approach inspires your team to revive their own approach to new business development ensuring returns expand long after our engagement. We believe in forward movement and innovation. 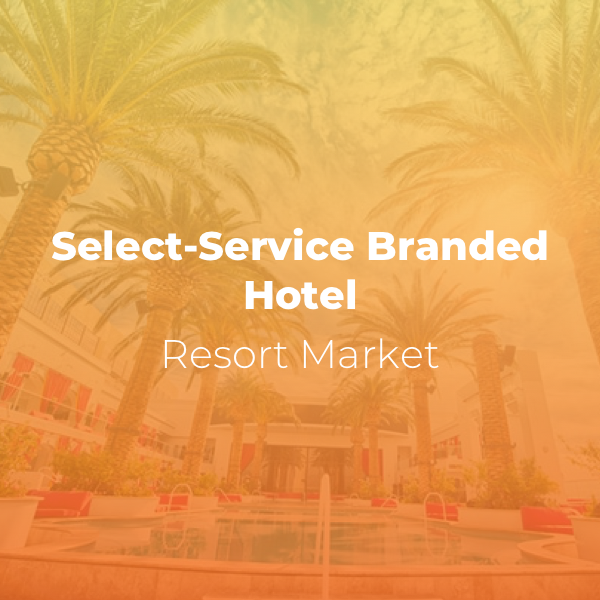 Based on our years of experience, we have created a proprietary scoring system that steps away from the dated “hot, warm, cold” hotel sales leads. Instead, we have developed more defined categories which are easy to interpret and understand. 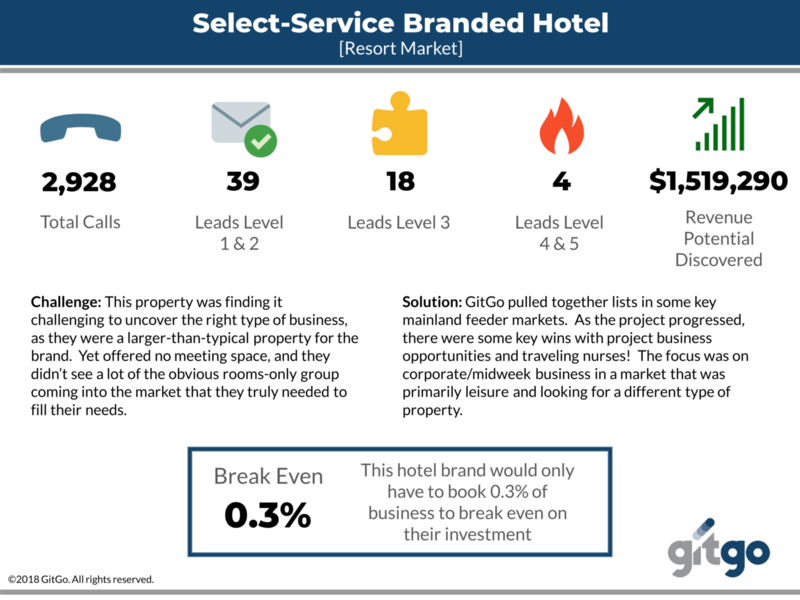 This means more clarity for you and your sales team on where the client is in the buying process.